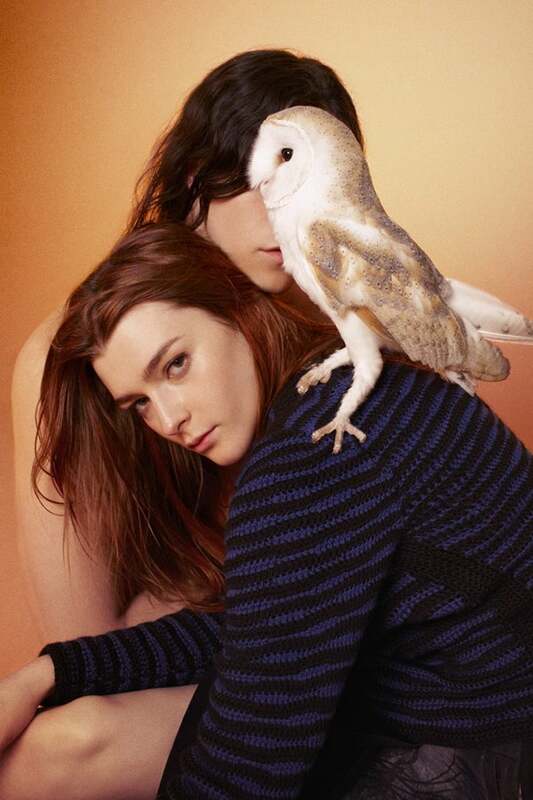 “They are much larger and more powerful than you might think,” Ryan McGinley told WWD about his recent campaign photo shoot for Edun. “Occasionally they would fly away from the set, and we would all just have to be patient and wait for them to return to work.” Whether he means Naomi Campbell or a peregrine falcon is anyone's guess ... unless you're privy to the shoot details. Thankfully, we are — Ryan's talking about falcons (and owls!). For the latest campaign, Ryan touched on his original "The Animals" series of photos by employing the services of five birds of prey indigenous to Africa (where 40% of Edun's clothing is made). "It is a complete challenge working with animals. If they’re trained or not, it doesn’t matter — they do whatever they want to. It’s chaos." The birds' unpredictable "I do what I want" attitude led to a series of beautiful portraits with the animals, the models, and the clothing vying for center stage (though when you consider the fact that 50% of the models have obstructed faces, the real contest is beautiful Edun's pieces and those squawkers). (WWD) Click through to see the two additional photos from the campaign!